Art in Video Cooperative was born four years ago at Museo Tamayo de Arte Contemporáneo (Tamayo Contemporary Art Museum). One Sunday in 2003 was showed a collection of 119 videos for seven hours, with a record attendance of over one thousand people. It wasn´t an"extra-large”compilation, it was a review of what was happening in various latitudes from Mexico, in video format with artistic intents. The second time it was presented, it was during the Festival Internacional de Cine Contemporáneo de la Ciudad de México (Mexico City International festival of Contemporary Films)in 2007. For twelve Sunday hours were screened over 160 videos from 140 Mexican artists. From the 279 videos that participated in the two editions of the "La Cooperativa de Arte en Video", Alfredo Solomon and Fernando Llanos selected a program with the 27 most interesting works, the most representative or most peculiar of what has been presented so far in such reviews. With this new format, more agile and dynamic, “La Cooperativa de Arte Video” was presented on Festival Loop in Barcelona 2007 and in Sala Parpalló, Valencia, on 2008. 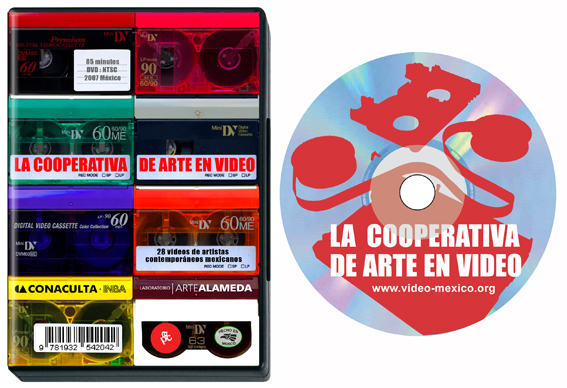 This collection was presented at the Laboratorio Arte Alameda in 2009 as the first show of Mexican art in video on DVD that has a massive edition and looks for an outlet.